AMD today formally launched the Radeon RX Vega family of GPUs, engineered to be the cornerstone of the world's most advanced and exciting PC gaming platforms. Designed with forward-looking technologies that punch well above their weight, Radeon RX Vega graphics cards mark AMD's return to the enthusiast-class gaming segment and a continuation of the company's calculated strategy to democratize leading technologies, giving more gamers access than ever before. There are three variants of Radeon RX Vega: Radeon RX Vega 64 Liquid Cooled Edition, engineered with 64 compute units to be the most powerful Radeon ever built; the Radeon RX Vega 64 with air cooling, and the Radeon RX Vega 56, available starting at just $399 USD SEP. For a limited time in select regions, AMD and its industry partners are offering Radeon RX Vega purchasers an unprecedented assembly of gamer "must-haves" in new Radeon Packs, including deep discounts on select Ryzen multi-threaded CPUs and motherboards combos as well as select Samsung displays with Radeon FreeSync displays, and two extraordinary AAA game titles - all the ingredients necessary for the best possible PC gaming experience in one of the biggest industry collaborations ever seen. "The enthusiast gaming experience is defined by high resolutions and a tear-free, buttery smooth 60 frames per second, something that only approximately 600,000 gamers are capable of enjoying today. But there are 4 million more gamers who aspire to enjoy that same enthusiast gaming experience without breaking the bank, and with Radeon RX Vega graphics cards we're working to give them that. The combination of a Radeon RX Vega graphics card, a beautiful FreeSync display, and a high-performance Ryzen CPU and motherboard is everything a gamer needs to enjoy the best possible gaming experience, and with our Radeon Packs, we're delivering all three at a tremendous value. The groundbreaking new features in the 'Vega' architecture, including the High Bandwith Cache Controller, Rapid Packed Math, Next-Generation Compute Units, and Refined Geometry Engine, will ensure that gamers get even more out of their investments as new games take full advantage of them in the weeks and months to come," said Raja Koduri, senior vice president and chief architect, Radeon Technologies Group, AMD. Radeon RX Vega graphics cards are built on the "Vega" GPU architecture, a direct response to the evolving complexity and visual demands of today's games. To meet these needs the "Vega" GPU architecture puts pioneering graphics technologies previously reserved for high-end graphics products into the hands of enthusiast gamers everywhere. Bleeding-edge capabilities like Rapid Packed Math, the High Bandwidth Cache Controller and new Geometry and Pixel Engines will help push the performance envelope while gaming in low-level APIs like DirectX 12 and Vulkan, giving developers more flexibility in designing the most intricate and beautiful virtual worlds in today's and tomorrow's games. Unmatched capabilities and control with Radeon Software - Radeon Software compliments the sophisticated hardware of the Radeon RX Vega graphics card, enabling the ultimate in performance, features and stability to ensure an exceptional out-of-box experience that will keep getting better. New Radeon Software features launched last week also benefit Radeon RX Vega users. Radeon WattMan now enables memory underclocking for more engine headroom, fine-grained power state controls for increased performance or power savings, and auto-overclock and auto-power save features that allow WattMan to automatically adjust GPU power states to your preference.6 The best capture, stream and sharing software in Radeon ReLive is now even better with options for higher bitrate recording at 100 mbps, camera transparency for increased HUD visibility, refined notifications and enhanced audio controls. And the AMD LiquidVR 360 plugin for VR Video Playback is the first GPU-accelerated end-to-end solution for HEVC 4K x 4K VR video playback7. Designed for 360 stereoscopic videos, the plugin supports ambisonic audio and is accelerated by the GPU to enable 65% higher frame rates8, no dropped frames9, and improve power consumption by 15% during playback. A great PC gaming experience comes down to more than just graphics. Serious gamers know that to achieve high resolutions and a buttery smooth 60 frames per second, there are two must-have elements: a beautiful adaptive refresh display for smooth, stutter-free gaming and heightened immersion, a multi-threaded processor to deliver astounding performance on a motherboard that supports these next-generation components. Built around the new Radeon RX Vega graphics cards, Radeon Packs are designed to put all of those technologies at gamers' fingertips, allowing them to make these upgrades much more cost-effectively than were they to buy each component alone to drive silky 60+ frame-per-second 4K gaming in more than 100 popular titles. Along with the Radeon RX Vega graphics card, the discount on the Samsung monitor with Radeon FreeSync and Ryzen CPU+motherboard, each Radeon Pack also includes, in select regions, two highly anticipated games in Wolfenstein II: The New Colossus and Prey for free, an estimated $120 value. 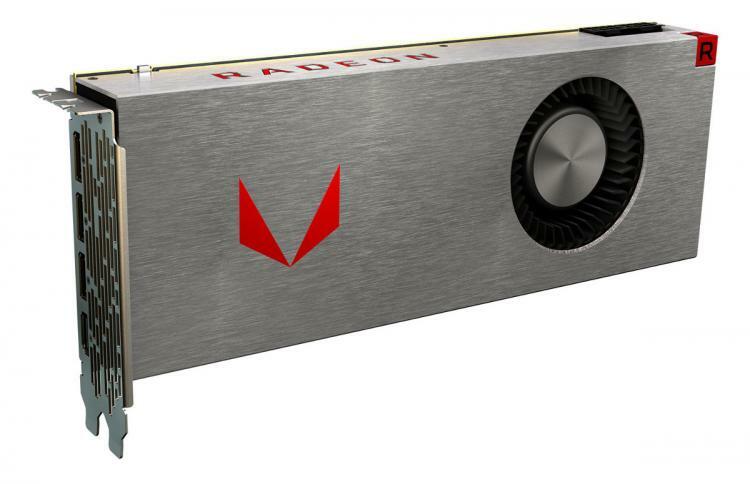 For gamers who already have the ideal setup and just want to get their hands on a groundbreaking Radeon RX Vega graphics card, AMD is also offering the Radeon RX Vega 56 on its own, the world's most powerful graphics card under SEP $400, and the Radeon RX Vega 64 air-cooled card priced at SEP $499. 2. 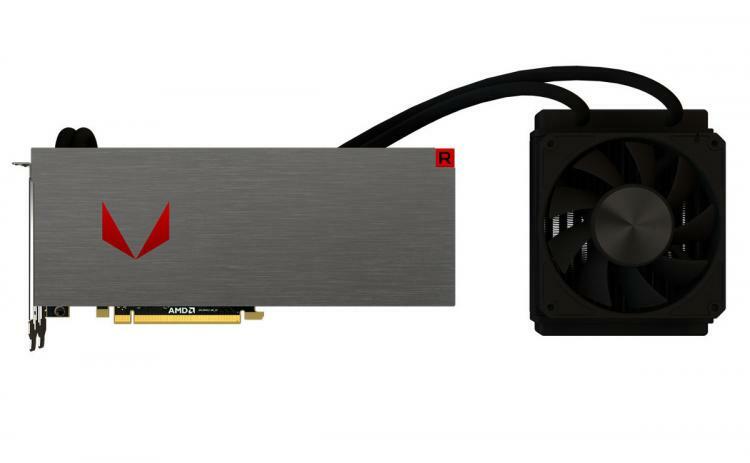 Radeon RX Vega 64 Liquid Cooled has 13.7 TeraFLOPS of performance while the previous most powerful Radeon graphics card was the Radeon R9 Fury X at 8.6 TeraFLOPS. 3. Based on internal AMD market estimates. 12. Games and availability may differ by region. Please check your local etail outlet for more details.